When my sister and I were little we loved to play dress-up with our cousins. While I went for the glamour of the peep-toe heels, my sister would dive into the big box of my aunt’s cast-offs and come out with fistfuls of big, glittery necklaces. The oldest, and born with a sense of style, she was the one we all turned to for fashion advice. Janet’s birthday is this month and I knew I wanted to create a statement necklace for her with this big, curvy lampwork bead from YaYa Beads in Augusta. 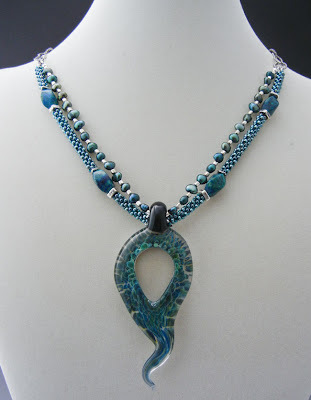 The beautifully colored focal bead in this necklace needs very limited embellishment, so I chose swirly chrysocolla nuggets in the same blues and greens, teal freshwater pearls and silver-and-black accents to complete the strands. The beadwoven sections use matte seafoam seed beads my sister gave me a few years ago mixed with transparent teal for a little extra shine. 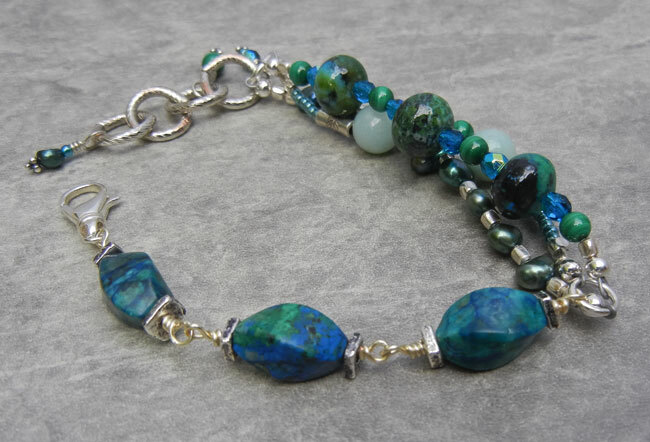 I added some chrysocolla rondelles, sparkly blue firepolish beads and jade rounds to the bracelet. 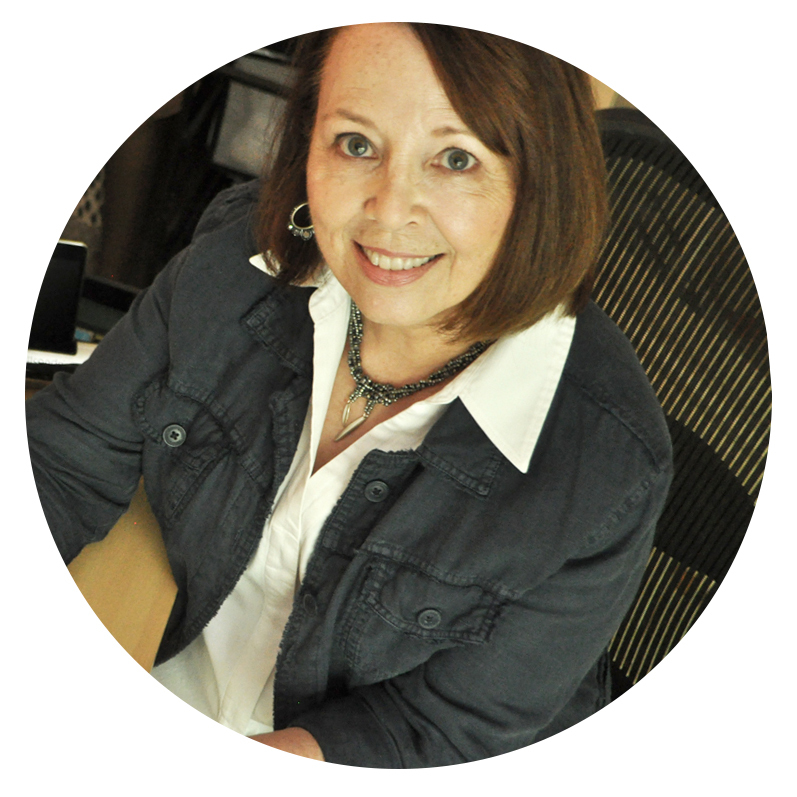 Now a stay-at-home mom to two teen-age boys, (which doesn’t involve much staying at home!) Janet’s days are filled with PTA meetings and piano lessons, but a birthday is always a good time to indulge that inner fashionista. Oh wow your set is gorgeous! Your Sister is going to be so happy when she opens this gift. She's going to knock 'em dead at PTA! 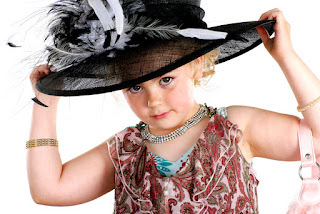 That is beautiful.After seeing that I want to be your sister,I am sure she will love it and wear it proudly. What great vision you have. That focal is perfectly set-off by your beadwork. Love what you did with the focal, and the asymmetrical bracelet is perfect! These are my favorite colors!